Patience–often produced when our faith is tested–is neither defeat nor resignation. We must embrace it like Jesus did, rather than complain. 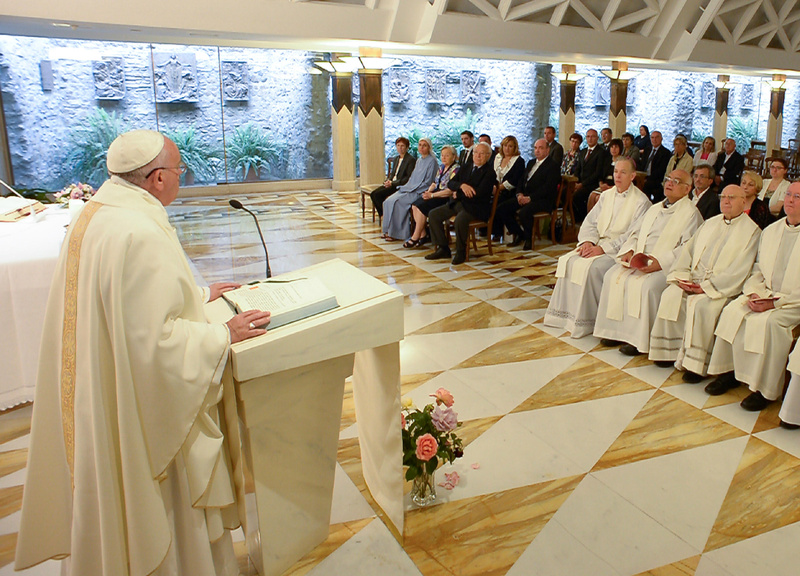 According to Vatican News, Pope Francis gave this reminder during his daily morning Mass at Casa Santa Marta as he reflected on the virtue explored in today’s First Reading from the Letter of St. James. Christian patience is neither “resignation” nor an attitude of “defeat,” the Pope said, acknowledging that this is not easy to accept. It is instead a virtue of those “on the journey,” moving forward, not those that stop and becoming closed off. “When you are on the journey, many things happen that are not always good. For me, the attitude of parents when a child is born sick or disabled says a lot about patience as a virtue on the journey. “But thank God that [our child] is alive!” [They might say.] These are people with patience. And they bear the life of that child with love, even to the end. And it is not easy care for a disabled or sick child year after year after year… but the joy of having that child gives them the strength to go forward. Speaking about the word’s etymology, the Pontiff said that “patience” carries with it a sense of responsibility, since it signifies “bearing with suffering,” rather than letting it go. It is to be a suffering, he insisted, borne with joy and gladness, despite the circumstances. Patience means “bearing with,” not entrusting problems to another, who bears the difficulty. The patience of God, Francis reminded, accompanies and waits for us. “If we look at the history of salvation,” he said, “we can see the ‘patience of God, our Father,’ who has led and carried His ‘stubborn people’ forward each time they strayed one way or the other.” And the Father shows this patience, too, to each one of us, “accompanying us,” and “waiting” for the right time. God also sent His Son, that He might “enter into patience,” “taking up His mission,” and offering Himself decisively in His Passion. “And here I think of our persecuted sisters and brothers in the Middle East,” the Pope said, being “chased away” precisely because they are Christians. Yet, Francis underscored, they are determined to remain Christians. “They have embraced patience just as the Lord embraced patience.” Therefore, he encouraged, with this in mind, perhaps, we can pray today, “Lord, give to your people patience to bear their trials.” We can also pray for ourselves, he said. Pope Francis concluded, encouraging faithful to ask the Lord to embrace patience like Jesus did.